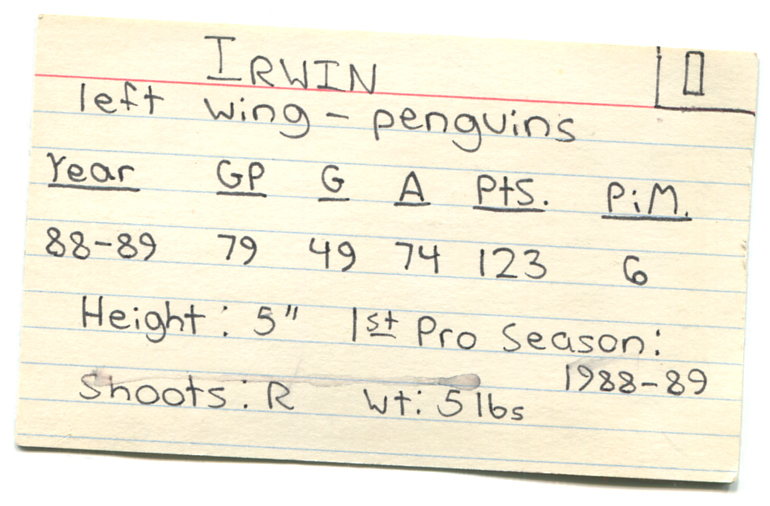 While sorting through a box of old hockey memorabilia, I came across this “custom card” that I made many years ago of Irwin the Penguin. 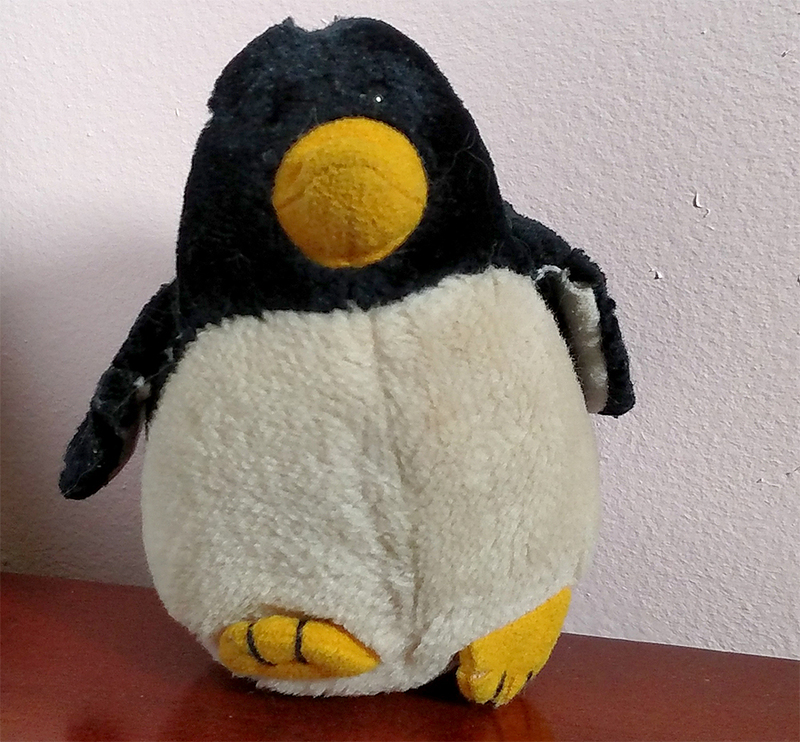 Of course, you have no idea who Irwin the Penguin is, so allow me to explain. Back when we were kids, Irwin was my sister’s favorite stuffed animal. 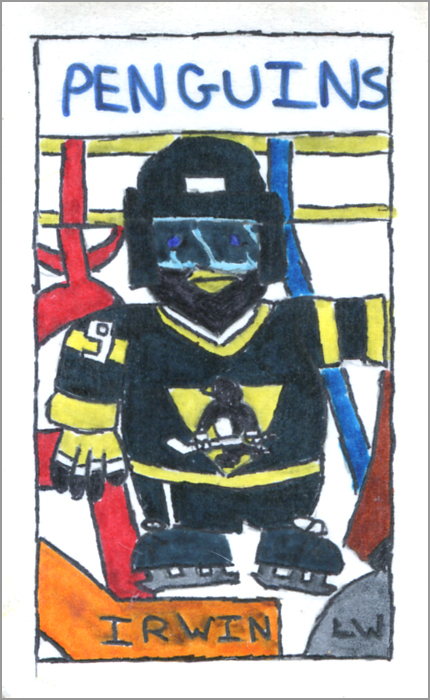 One day during the summer of 1989, I decided to make a drawing of her toy penguin as a member of the Pittsburgh Penguins, since that seemed like an obvious team to put him on. 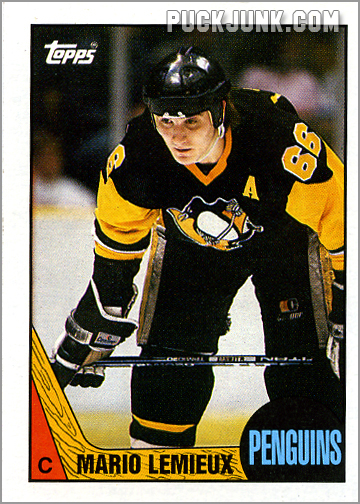 But it wasn’t *just* a drawing — it was a hockey card, complete with statistics on the back. Here is Irwin today. You can see that this penguin has seen his share of wear and tear from years of battling pets who tried to chew on him in front of the net. Now long retired from playing, Irwin likes to chillax on the dresser with his twin brother, Irvin. 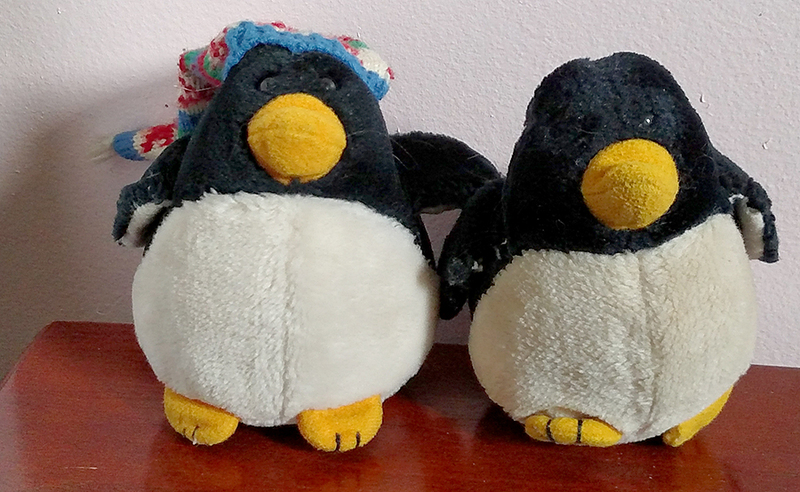 Iwrin (right) and his identical twin brother, Irvin (with hat). I have no idea what possessed me to make a drawing, let alone a trading card, of a toy penguin. Just chalk it up to the silly stuff we do as kids. Heck, I even covered the front of the card with clear, self-stick contact paper, to make the front feel glossy. 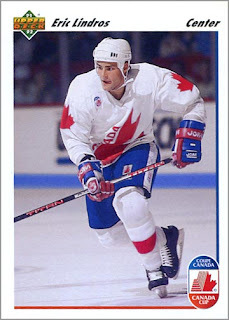 As you can probably tell, the custom Irwin card was loosely based on the 1987-88 Topps Hockey card set, with uses stick and puck graphics at the bottom of the design. However, I didn’t follow that design too closely. I put the team name — PENGUINS — at the top where it would fit better. Admittedly, this is a pretty bad drawing, even for a kid. It’s too cluttered, with the red and blue lines on the ice and the yellow lines of the dasher boards in the background. I probably drew all of these details so that you’d know that Irwin was at a hockey rink. And there’s way too much black; I should have put Irwin in a white home uniform. For some reason, Irwin is holding his stick off to the side — perhaps to pose for this “photo” — and I ran out of room. 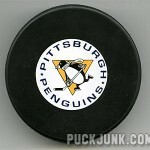 This was probably because I wanted to draw the Penguins logo and not have it blocked by a stick or glove. But you think that I would have at least used a ruler to draw the borders straight. Sheesh. 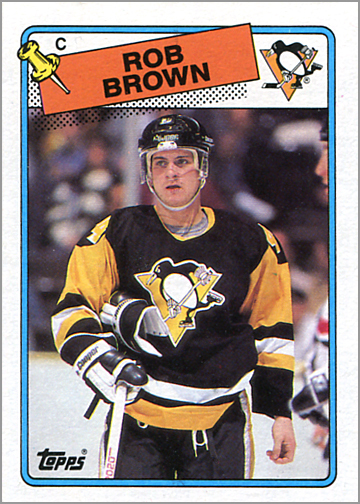 Rob Brown was my inspiration for Irwin, which is why Irwin was drawn wearing a visor. 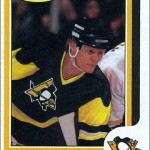 I believe that Brown was the only Penguins player in 1988-89 to wear the half-shield. Coincidentally, both Brown and Irwin scored 49 goals that season. That is hilarious Sal, thanks for sharing! Irvin still feels cheated. Why didn’t he get a card? And they look good for being in their 30’s. Despite being his twin, Irvin is a total loafer. He was never willing to go in the corners or do the dirty work like Irwin.